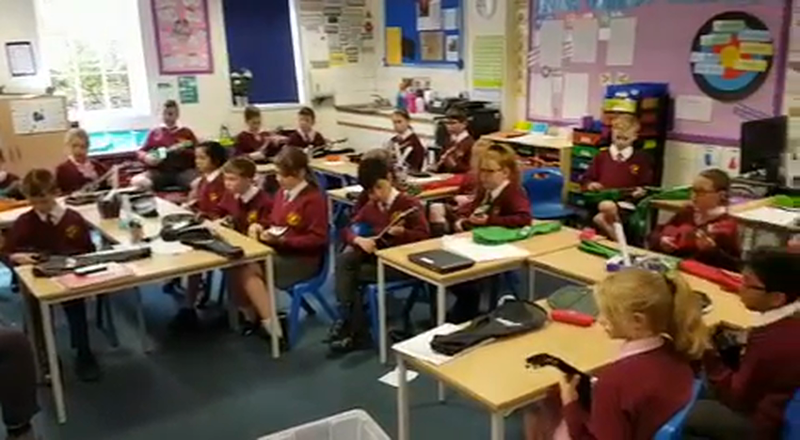 Year 5 have the wonderful opportunity to continue learning to play the Ukulele this term! 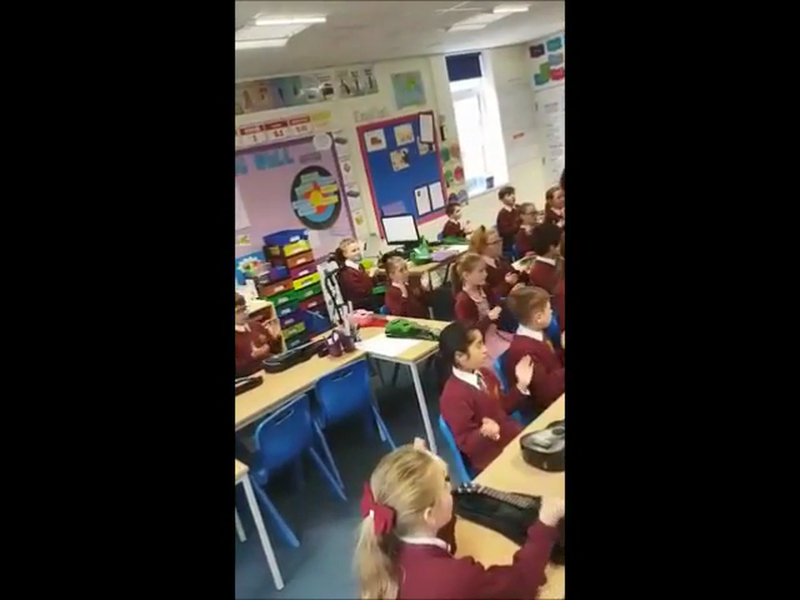 This week we sung and played Sweet Home Alabama which we all thoroughly enjoyed. Every week the children look forward to learning new chords and songs. To start our learning we conducted a mummification. Don't panic - it wasn't on a human, instead we used oranges. The children came away with the understanding of the process, the purpose and above all they had an engaging experience to hook them into the topic. Each class came up with numerous questions which we will to answer throughout the rest of the term. This term Year 5 are undertaking the greatest adventure of all, we are journeying through space. Throughout our mission we will be investigating the eight planets (Mercury, Venus, Earth, Mars, Jupiter, Saturn, Uranus and Neptune), the Moon and the Sun and beyond. We went to space! 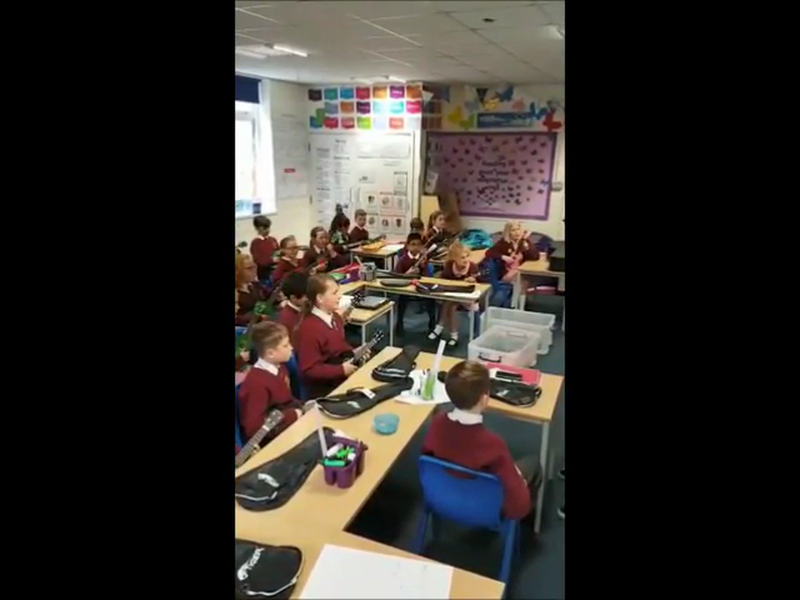 We did this by using the schools Virtual Reality Goggles. In using these we were able to get up close to all eight planets and the Sun, without even leaving the classroom! We were able to uncover facts we didn't know, order the planets and above all have an amazing experience. This week we have started our journey around Alchemy Island. We were visited my an Alchemist from the Island to ask Year 5 for help in discovering the Island and what it has to offer. Our journey has started at the Ancient Citadel! To help us imagine what the Ancient Citadel looked like we explored the Epic Citadel app on our iPads. This was a really good opportunity for us to develop our imaginative description using expanded noun phrases, adjectives and prepositional phrases.